When we silo a digital department and expect it to mean everything that has to do with the internet, it ends up meaning nothing when it comes to real impact. Over the past few cycles, our team at ACRONYM has run innovative “digital” programs that have advanced how progressives think about digital ads, organic digital strategies, and digital tools: Tara McGowan ran a $42 million digital ad program against Donald Trump in 2016 and I coordinated all the texting during the Virginia 2017 election, including managing the sending of 3.2 million peer-to-peer texts. Through all of that work, however, we’ve come to agree that “digital” is an adjective, not a noun, and should be treated as such by campaigns. What we mean is that separating a digital department from other departments makes no sense — and worse, it makes us all less effective. The future of campaign digital is fully integrating it with everything we do — organizing, communications/messaging, paid media, fundraising, and even technology — instead of siloing it to its own department. “Digital” (and even before that, “new media”) has been the hot word for progressives over the last ten years. Howard Dean strategized how to leverage bloggers on “the Net,” Obama took advantage of Facebook and YouTube, and in recent cycles Silicon Valley has joined the fight to build digital tech for campaigns to use. “Digital” has become more than a department; it has become a litmus test for how “modern” a campaign is. The campaigns with the reputation (deserved or not) for innovating the most in “digital” — Obama 2012 and Bernie 2016 examples easily to come to mind — are often the models adopted and scaled. This is why the vast majorities of campaigns and organizations have a digital department, led by a digital director and responsible for everything from websites to online fundraising to social media messaging to video to graphic design to paid ads to organizing technology. But we need to take a second to step back and think about what actually makes sense — and that means making digital a part of every department instead of its own. We have a communications department responsible for crafting a campaign’s message, and that makes sense. We have an organizing department responsible for building and managing an on-the-ground organization, which makes sense. We have a department for raising money, which makes sense. But why do we have a department dedicated to doing all those things — just online? “Digital” departments may have made sense years ago when “digital” meant building a website or starting a Facebook page — but now our whole world is digital. People exist both in real life and online. And by separating those things and siloing them in our campaigns and organizations, we are not running the smartest programs we could be. I have worked on campaigns where my job was running an integrated peer-to-peer texting program responsible for texting hundreds of thousands of voters across a state — and in addition to that role, because I have a background in graphic design, the communications team also asked me to make infographics for press releases. I have also been on campaigns where my job was to raise millions of dollars online — as well as try to remember to tweet every hour. We need to stop overburdening digital directors with many roles that will ultimately make them (and the teams they are trying to support) less effective. If digital is its own department, it means it isn’t fully integrated withevery department — and it should be. “Digital organizing” is still organizing. “Digital communications” is still communications. “Online fundraising” is still fundraising. It doesn’t make sense to silo out “digital” — it’s like separating the phones department from the doors department on an organizing team (this post also makes the argument well — would you ever have a fax machine department? Even the Met has figured this out!). Finance teams have already taken advantage of the internet when it comes to fundraising — but we can’t stop there. In a world where two thirds of Americans receive news on social media, communications departments need to also include social media in their strategies. Most Americans are on social media — so organizers should also be fluent in Facebook and Twitter so they can meet people where they are and organize them into offline action. Digital is a natural part of everything we do — so it should be an integral part of every facet of a campaign as well. One other note here: because “digital” means so many things, it gives people who say they “don’t understand digital” an easy out — and means the program will be the worse for it. Ask the digital directors who don’t get a seat at the table because the campaign manager thinks they just watch Twitter all day, or the digital teams who get treated like ATMs because part of their work is email fundraising. When everyone has a better understanding of digital, we will all be more strategic. Because “digital” means 100 different things, no one can do it all well.If you’re trying to hire a digital director, what do you prioritize? Having someone who is good at making videos? Having someone with a background in graphic design? Having someone who comes from a strong data and analytics background, or someone familiar with building tools and tech products? Someone who has managed social media accounts? Someone who can build a website? Someone who has managed an email fundraising program? Someone who has run digital ads campaigns, all the way from managing creatives to putting together media plans and analyzing metrics? Someone with a background in mass or peer-to-peer texting? These are all typically listed in a job description for digital directors — but it’s infeasible that anyone is good at all these things. And the obvious rebuttal is that someone can hire a team to do all these things — but from my experience, digital directors set the focus and strategy of the program and do what makes them comfortable. We’re all guilty of this — for example, the digital programs I have run have been very organizing focused, possibly to the detriment of my strategy and my staff’s capacity. And on the flip side, I have certainly watched digital programs led by people with strong backgrounds in email or social media who chose to ignore organizing. When we expect one person or department to do everything, chances are there’s something they aren’t doing well — and that means that other departments who rely on the digital department’s expertise and support fail too. We aren’t all learning how to win elections. I’ve said this before and I’ll say it again: I have always found that organizers make the best digital directors because they understand how to talk to voters, how to mobilize different audiences, how to target their asks, and how to double down on what actually wins elections. Obama 2012 and Bernie 2016 weren’t just “digital” successes because they were innovative for the sake of innovation — those campaigns used online tools and strategies to empower people to take action, whether that was through volunteering or donating. 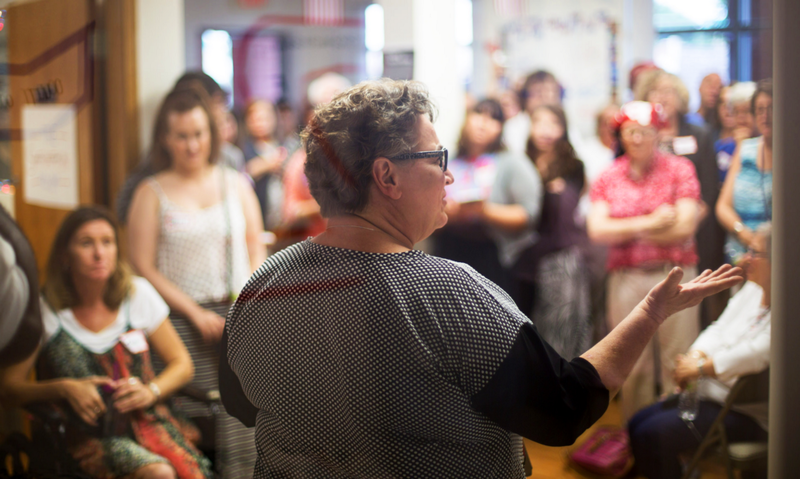 Both ran grassroots fundraising operations that turned small dollar donors into powerful forces against big money in politics — and both used tools like Facebook and texting to recruit supporters and turn them into volunteers knocking doors and organizing their communities. The best digital programs are those that empower and organize people — through a variety of methods and channels. When we silo a digital department and expect it to mean everything that has to do with the internet, it ends up meaning nothing when it comes to real impact. We need to learn together what wins elections — and that means not separating out the digital department from the rest, or asking it to innovate in ways that don’t move the needle. If we continue to learn the wrong lessons from seemingly innovative “digital” campaigns, we’ll struggle cycle after cycle. Every campaign and organization should do two things: eliminate digital departments and ensure that every department is fully integrated with digital best practices. The DNC took a step in this direction by starting a mobilization department to work with the communications, research, and political/organizing departments (you can read the department description here) — but that’s not enough. We don’t need new departments — we need digital to be a part of every department. 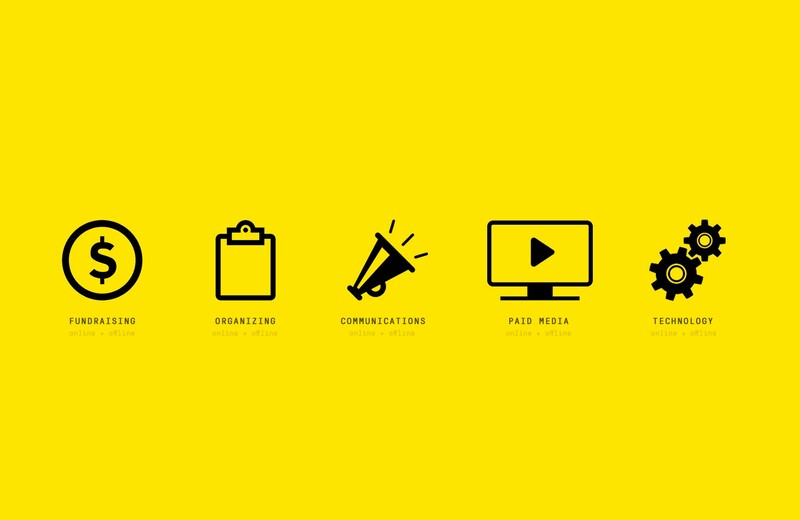 We can operationalize this by separating digital into its four main departments: organizing, communications, paid media, and fundraising. There are no more digital directors. During the transitional period, there is a dedicated digital support staffer in each department — but eventually each organizer, each press secretary, each paid media director, each finance assistant, etc. is well versed on strategies and best practices for how to recruit volunteers online, push out stories online, decide how an ads budget is spent online, and raise money online. First — the organizing department. Organizing is the department that makes possibly the least sense to separate digital from. “Digital organizing” has become a buzzword in the last few election cycles — but what does it actually mean? Digital is organizing. It’s all about organizing the same people — but reaching them online as well as offline. I have managed “digital organizing” programs for several campaigns in the last few years with the goal of training each organizer on how to find and mobilize people both online and offline. During the 2016 Iowa caucus, we trained each organizer to build, engage, and activate their own local Facebook groups to push out messages, build for events, celebrate volunteers, and find hot leads; we trained organizers to use Twitter to drive a narrative about their organizing efforts (remember the Kayakers for Hillary? ); we gave organizers the tools to run localized email programs to build for events and quickly re-shift volunteers; and we ran mass and peer-to-peer texting programs to quickly recruit volunteers and increase contact rates. We need to take this even further and put as many tools in the hands of organizers as possible. We know organizing still wins elections, and the work that organizers do is critical to winning — but we kneecap them by separating digital into its own department and not giving them the tools or trainings they need to meet their organizing goals online. My greatest regret from running the texting program in Virginia in 2017 was not giving organizers the autonomy to pull their own lists, write their own scripts, and manage their own data. 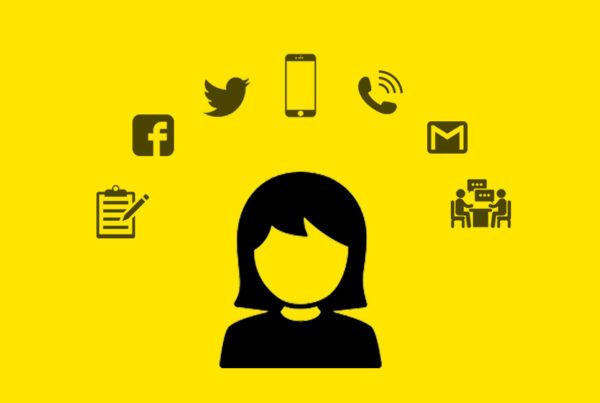 This is the future of “digital” and organizing: empowering every organizer to be fluent on how to use social media to organize; giving organizers access to tools like texting tools, events tools, peer-to-peer email tools, and relational organizing tools; and training organizers how to organize online as well as offline. In the short-term, this is done by having someone with a background in digital and (ideally) digital organizing technology run an organizing program with a traditional organizing director — or at the very least working as a deputy director who is fully integrated in the program. In the long-term, organizing leadership will have once worked as organizers who had texting, email, and social media at their fingertips — and they will be the ones to innovate how we use online tactics to organize and activate communities. A personal note here: I am a “digital organizing” director with very few paths forward in campaign leadership. It doesn’t make sense for me to be a digital director because my role is too specialized. It’s been years since I ran email fundraising or social media campaigns, I’ve never run a digital ads campaign, and I have little experience with websites. But I’m one of the most experienced strategists in the Democratic Party for how to use digital organizing tools, run texting programs, or train organizing teams on digital tactics. It makes more sense for me to work under an organizing team and train them on what I know. That will scale what works and what doesn’t work — which will help us win more elections. Second — the communications department. Digital and organizing go hand-in-hand — but digital also plays a critical role in communications. We already know that it’s not enough to disseminate a campaign’s message by talking to reporters or placing op-eds in local papers. Communications teams have already started tweeting about local stories and sharing messaging on other social media, trying to drive the narrative and get their message in front of reporters. But we also know that digital departments can’t only be vehicles for pushing content online when they’re also responsible for raising money, supporting an organizing team, and running digital ads. Instead of having a digital team that’s responsible for generating and disseminating content (in addition to a million other things), we should have social media managers fall under communications departments that work closely with the team responsible for crafting and driving messages. Videographers and graphic designers should also work for the communications team — and they should work to coordinate messaging across online and offline platforms. This will reduce the burden of overworked digital directors — and it just makes sense. It’s no secret that campaigns with a consistent message that permeates across platforms and all forms of communication are more successful than others. By creating this type of structure, campaigns will be more likely to have consistent messages across their platforms — and have a stronger and more unified narrative. I have been in charge of managing the online messaging efforts via social media for several campaigns, and I have made the mistake of believing that vanity metrics like how many people ‘liked’ a post meant that it was successful. This is not a strategic messaging strategy. It led me to post more “clickbait” — photos of dogs, fun candidate #TBTs, etc — instead of actually posting about the candidate’s message or talking about what’s at stake. Because I believed in “digital” metrics and was not part of the broader messaging strategy, our campaigns communicated poorly with our supporters online — supporters who could have then communicated our message to the people we weren’t reaching. Third — the paid media department. Next: ads. Ads are possibly the most specialized tactic for digital directors — but few directors can run their own programs, so they’re usually handed over to consultants who make a ton of money off of commission. 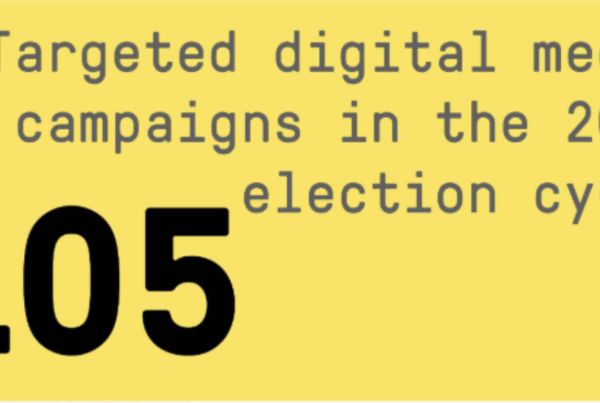 And that’s not the only problem: many digital departments struggle to make the case to campaign leadership for digital ads money over TV money, even though these are similar strategies to find and move voters. If we had digital ads experts within the overarching paid media departments — or if we had digital ads vendors who were responsible for advocating for their own budgets against TV vendors — our campaign digital ads programs would not only be more coordinated and data-driven, but they would also be smarter and more effective. It doesn’t make sense to take a TV ad and put it on Facebook or Instagram. The ways people consume content on TV versus online is completely different, and different types of voters are better reached through different platforms. We need paid media departments that can look at these challenges in a holistic way, and invest the right amount of money on each platform to reach the right voters — with messages and messengers that work for each. When we have a paid media department that represents both traditional media and digital media, we will all be smarter and our ad campaigns will be more effective. Fourth — the fundraising department. It really doesn’t make sense to separate online fundraising from the rest of fundraising. Raising money is raising money — and a lot of money we raise comes from the same people. I once worked on a campaign where the finance team would take credit for an online donation if it was more than $500. That doesn’t make sense. This really breaks down when we think about how we’re using SMS and email. If the campaign looks at a digital director like an ATM (which many do), and that digital director is responsible for raising a certain amount of money, they will burn SMS lists and email lists in order to raise that money — often at the expense of using those SMS or email lists to recruit volunteers (even out-of-state ones!). If digital departments were dissolved and online fundraising fell under a fundraising department, the finance team could use those lists to raise money — but the organizing team would have their own list of people to text and email and ask them to volunteer. No longer would two different departments compete for access to the same list. And a bonus: the technology department. Few non-presidential campaigns have technology teams, but it’s still worth including here. The department responsible for building campaign tools and technology has a history of being siloed — from organizing staff, from paid media staff, from finance staff. We need all of these representatives in technology departments to make sure the tools we’re building will help us actually solve the problems we face. 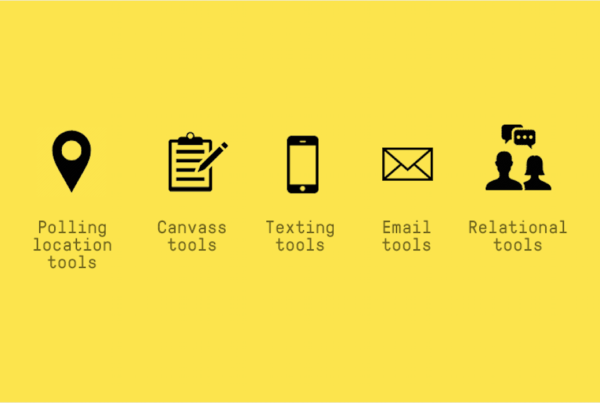 A more specific example here: far too frequently, organizing tools fall under the management of digital teams (usually “digital organizing” staff like me). When digital staff are in charge of giving input on the roadmap/priorities of the tech team, organizing teams are often the ones who are excluded — to the detriment of the actual users of the tools. I am not arguing that eliminating digital programs would solve all of our problems — but it would certainly fix a lot of them. And I am definitely not saying that a transition to these new systems would be easy — but it is the only thing that will help us build smart staff infrastructure in the long-term. The world is already more digital. People exist online and offline. If our goal is to reach, engage, and activate those people, we can’t separate our departments into online and offline — we need to integrate them. This won’t just make us smarter in the short-term — it will make every staffer more capable and more strategic, which will help us win more elections. How it should be: departments that integrate online and offline tactics to achieve an overall strategy.